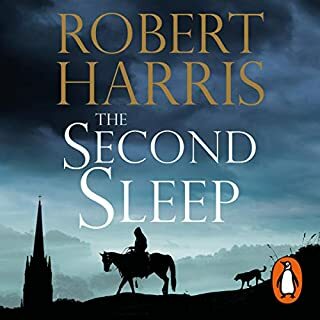 Robert Harris really knows how to create tension in a historical novel, where at least in general, we must know what the ending is. 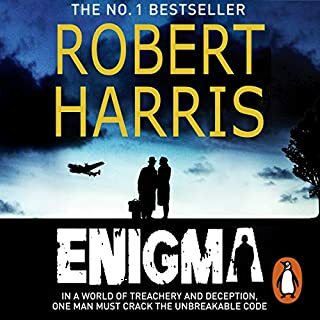 This is a beautifully crafted and fast-paced novel, which brings to light one of the great scandals of the19th century and exposes the French officer class as corrupt, paranoid and deeply anti-Semitic. 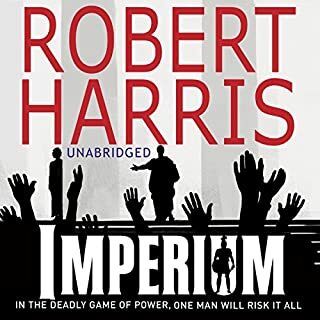 If I could criticise at all, the courtroom scenes do drag on a bit, but for those familiar with Imperium and Lustrum, the wealth of detail revealed will compensate. Also the reader is excellent, perfect pace and very believable accents, including the very difficult (for a man) women's voices. This book takes you immediately into scenes from history text books but in such a way that it becomes immediately engrossing and relevant for today. The subtle details which pave the way for the central character's change of heart are fascinatingly drawn for us. 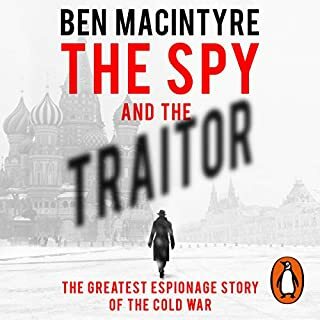 I also very much enjoyed the insight into the life of an early spy. Although, I remembered vaguely what the Dreyfus Affair was about, I had to restrain myself from looking up the details to find out what became of them all! 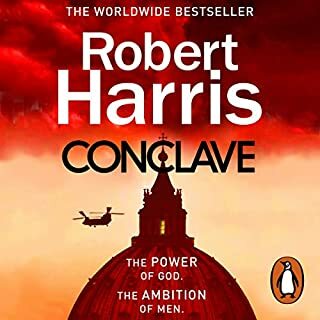 This ought to be compulsory listening for anyone studying the literature or history of that period as it brings it all to life in such a meaningful way. The narration of this compelling story was excellent, with superb vocal characterisation. This was a really fantastic listen. 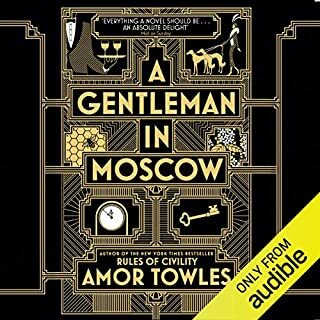 It is a novel woven around the actual events of the Dreyfuss affair and combines historical accuracy with vividly imagined emotions and behaviour of the key characters involved. The construction and then unravelling of the military intrigue is gripping as is the personal story of Picard and the consequences of his actions on those around him. 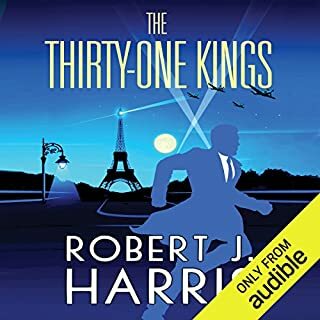 David Rintoul's narration was perfect for the novel and I will certainly choose further audiobooks on the basis of his narration. 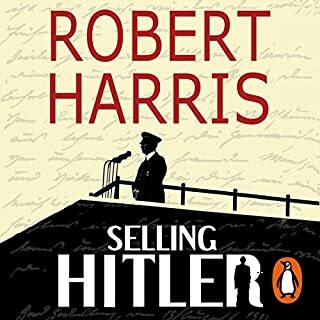 This book is great for those who like political thrillers or historical novels with a strong basis in painstaking factual research. I listened to this while carrying out a particularly dull administrative task and it kept me at my desk far beyond midnight and consequently completed project ahead of target. If you could sum up An Officer and a Spy in three words, what would they be? 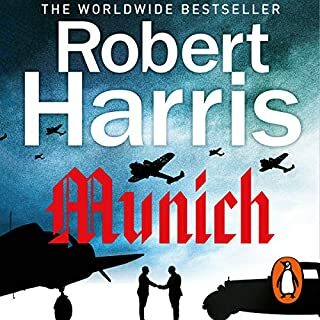 I'm sure the bare facts of the true story could be quite hard reading, but Harris has really brought the fascinating story of Dreyfuss and Picquart to life in this intriguing novel. The most unbelievable elements are ctually the facts about how the most senior officers in the French Army along with senior members of the government conspired to hide the truth - as unearthed by Picquart. Thoroughly recommended. 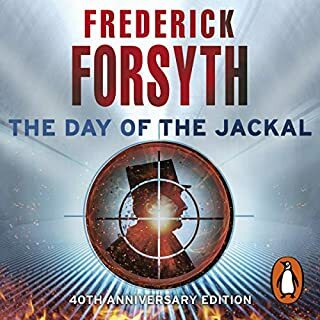 Where does An Officer and a Spy rank among all the audiobooks you’ve listened to so far? 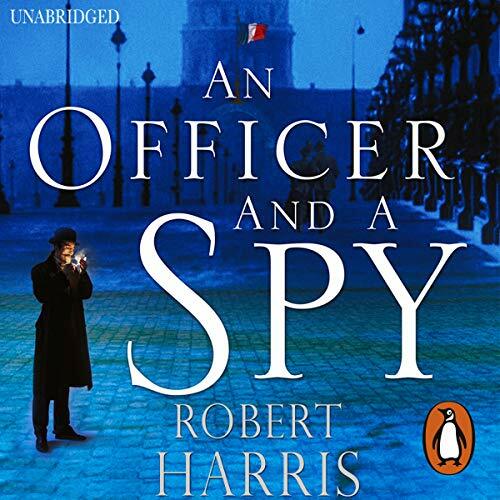 Excellent re-telling of the Dreyfus affaire, comparable to Robert Harris's excellent "Lustrum" and "Imperium" books. David Rintouls narration is eloquent and easy to believe you are listening to the real Picquart, albeit without a french accent. I quickly realised this was a book to savour so rationed myself to a chapter a day to make it last. For any Francophones Eric Cahms book "L'Affaire Dreyfus" gives more detail of this historical episode. 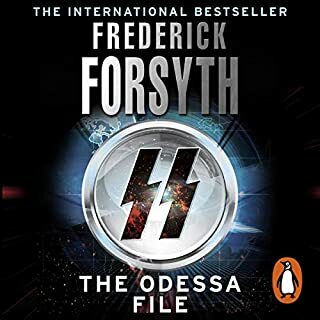 Would you consider the audio edition of An Officer and a Spy to be better than the print version? Many of the names of people and places are of course French. The David Rintoul's pronunciation made it all the more real. What was one of the most memorable moments of An Officer and a Spy? There are many memorable moments, but the way in which the duel was read was excellent. I really felt for Georges Piquant throughout as I found I knew him so well. An excellently crafted narrative of a shocking historical conspiracy, superbly brought to life by David Rintoul. I was gripped from start to finish. Truly outstanding. Encapsulates all that is best in historical fiction. Vies with 'This Boy' as my audiobook of 2013. The portrayal of the characters, their depth and the fact that the story is true, incredible though it may seem. The best thing you could say about this historical fiction novel, is that it spawns so much other research into associated subjects. The history of the 1870 Franco-Prussian War, the history of anti-semitism, Devils Island stories etc. And, it renews faith in humanity to see how some people resist corruption no matter what and at considerable risk. 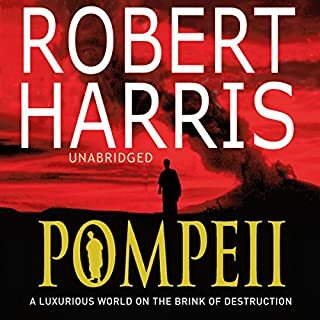 Great book, well written and narrated. Harris at his best. A shocking story that is amazing and based almost totally on actual events. Don't hesitate to get it. 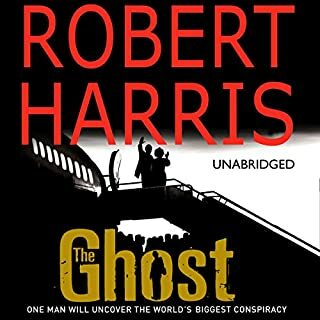 Robert Harris is a fantastic writer and I can't wait to listen to 'The Ghost'. 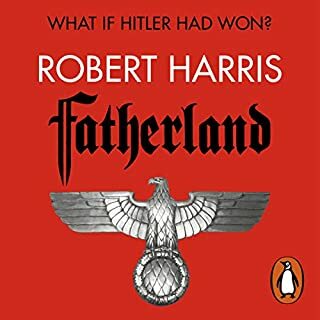 I read his 'Fatherland' years ago but wasn't too impressed, however this book is a must. Spies, military, government, 1895, France, Germany, intrigue it has the lot. This story would be unbelievable if it wasn't based on a true story. 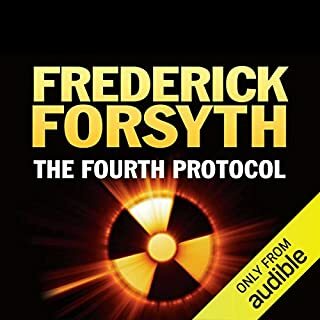 David Rintoul is fantastic narrating this noveltised version of events from the intelligence officer who discovers the truth and then falls foul of the hierarchy cover up. Damn good story this. Bought the printed copy for my mother to read. 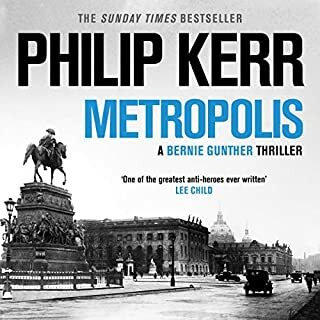 Beautifully narrated, this story is an evocative picture of society and the culture of the French army before the Great War. This is an excellent book, providing a strong insight into the politics of this time. 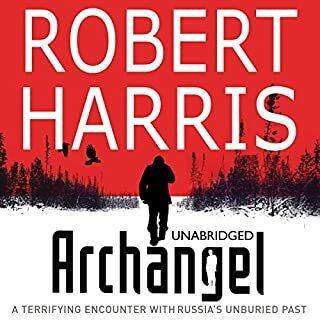 It would be interesting enough if it were a work of pure fiction, but the historical base and accuracy make this both a thoroughly interesting listen and a story with an important lesson to learn. Highly likely that you'll go and research the facts of this case, if you haven't done so already. The performance is excellent as the narrator has an attractive reading voice and a real knack for accents. Very highly recommended! Would you listen to An Officer and a Spy again? Why? Possibly, in many years time. Knowing the story would lessen the experience. .
A larger part of this book’s quality is the story line rather than the characters. I’m not suggesting the characters do not have “character”, they do. But the actual story and relevance in a tense pre-war Europe is remarkable. 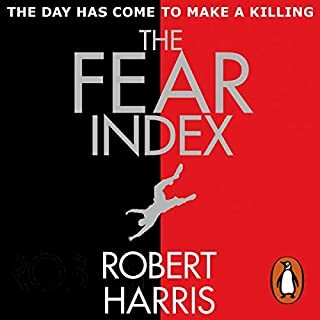 I have not heard a better narrator than David Rintoul. .
Don’t research the history of the The dreyfus affair before listening. . The story is well described and one can imagine how it was. Having no military knowledge or much of an interest it managed to keep me interested for 2/3 of the part. I believe I'm not the main target audience for the book as I would prefer a little more romance. However I think it's a great book for people with an interest in history and how France's military/ court work in the late 1800 onwards. A story you have heard about but never in depth. This case explains so much which happened afterwards. Great fascinating book. I can't explain it and don't remember all of why I stopped early on. I couldn't get into the style, with so many minute details and moment by moment description, some of it creepy. I suppose there could have been a good book waiting later, but I couldn't stomach it to find out. I wish I had this this all those years ago in O level history. At times I felt I was trapped in Kafka's "The Trial" such was the claustrophobic feel of the book. The narration was like fabulous acting, excellent. If you could rename An Officer and a Spy, what would you call it?